The Pine Trails Quartet competed in the Arizona Division Quartet Contest at the Far Western District, Arizona Division Convention in Mesa, AZ., on April 13, 2019. They were in a lineup of 14 quartets. The Pine Trails were one of several Senior and Super Senior quartets. There were also 8 Choruses participating in the two-day event. Super Senior means the combination of the 4 quartet members’ age equals more than 280 years! ” This was my first time in competition and I really enjoyed the challenge,” said James the lead singer. It’s great to be a barbershopper and help to keep the whole world singing, said Tom. ” Singing before your peers is always fun, and to improve as a quartet it is necessary to have feedback and coaching. Watching and listening to the best in Arizona is a real pleasure” Doc exclaimed! 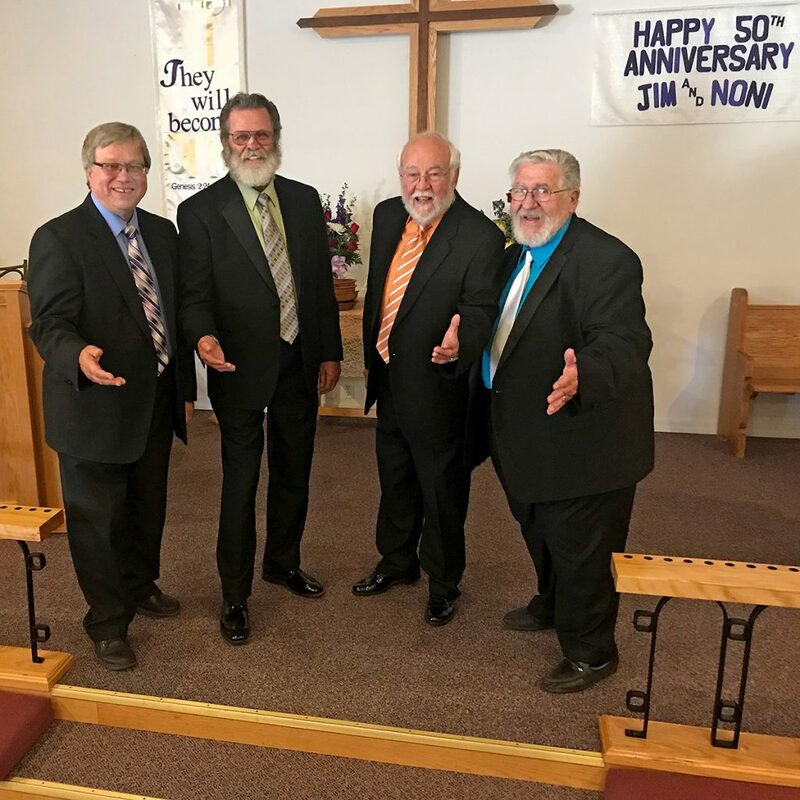 The Pine Trails Quartet (Everett Peterson – Tenor, James H. Burden – Lead, Doc Dockendorf – Bass, and Tom Wallis – Baritone) sang at the United Methodist Church in Heber, AZ. on June 23, 2018. The occasion was the anniversary of former High Country Barbershop Chorus member Jim (JD) Dye and his wife Noni. 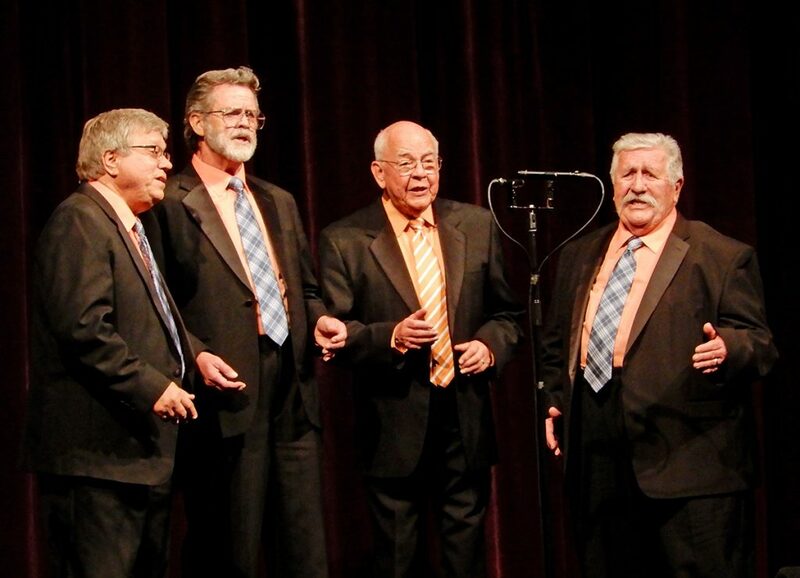 The Pine Trails Quartet participated in the 2018 “Singing Valentines” program. Click on the link for details.